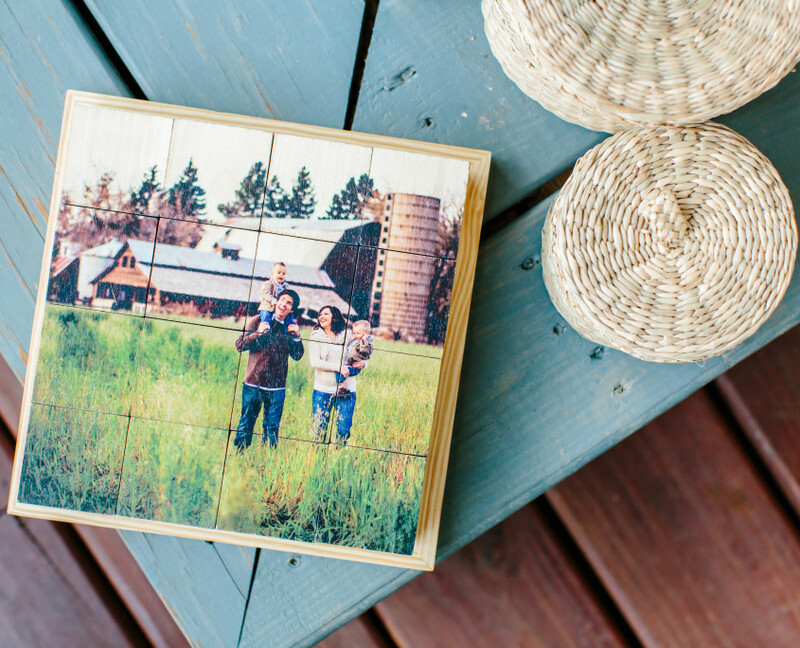 Create groupings of wooden photos with our PhotoBoard Collections. Available in 5×7, 8×8, 8×10, 10×10, 12×12 and 11×14 sizes, Collections are an affordable way to combine images for beautiful wall displays. 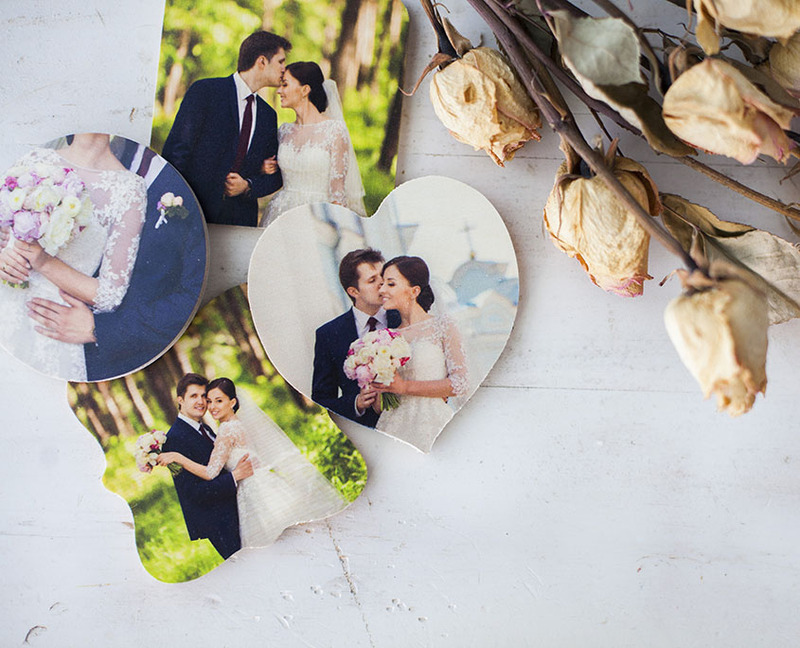 Combine multiple photos on to a single wooden board with our unique CollageBoards. 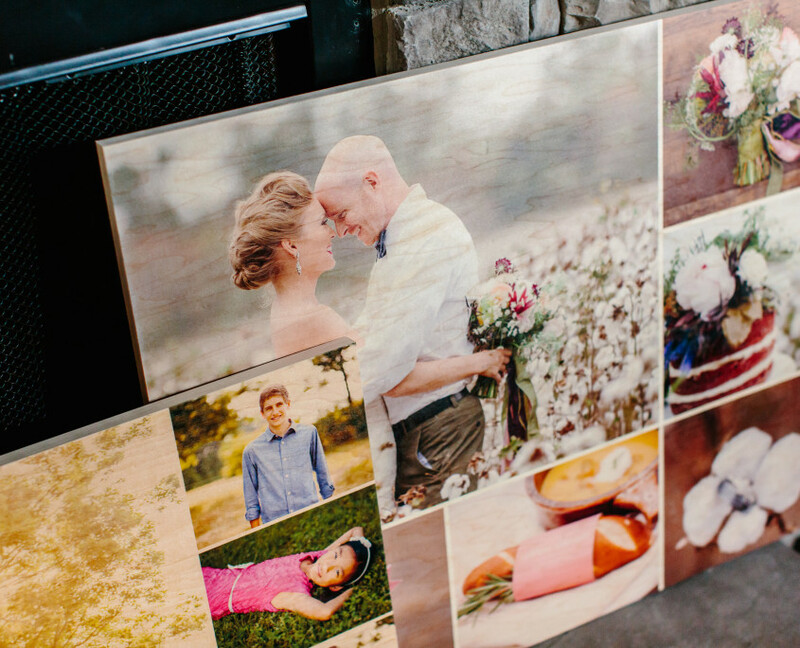 Similar to PhotoBoards, each board is 3/4″ thick and arrives ready to hang. Create a collage masterpiece using our simple and intuitive design center. 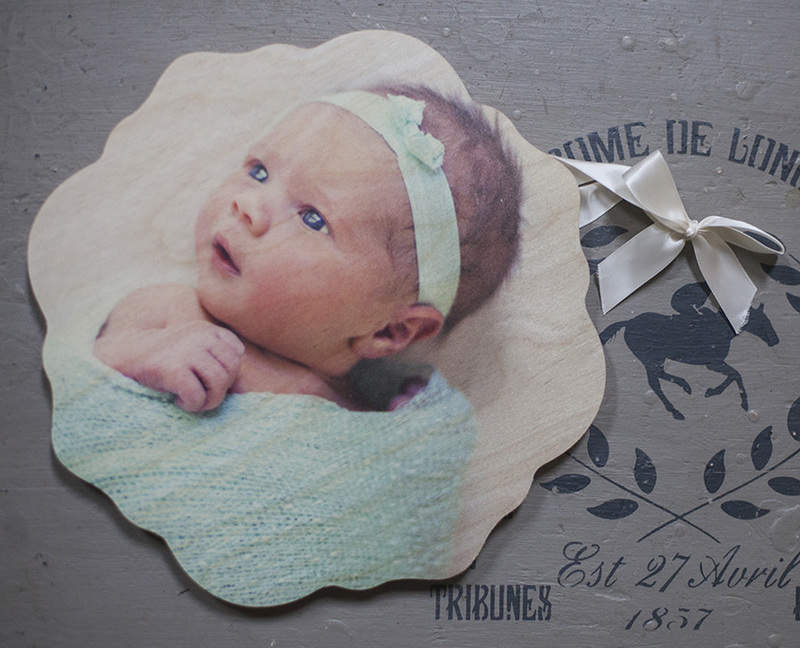 Print your photos directly on to 3/4″ uniquely shaped wooden boards with our new Shaped PhotoBoard product. The natural tones and grain of the wood combine with your image to create a truly unique work of art. Choose from 6 NEW shapes: Whimsical, Victorian, Oval, Retro, Snowflake, and Circle. Shaped PhotoBoards arrive ready to hang without any additional framing or can be displayed on an easel. 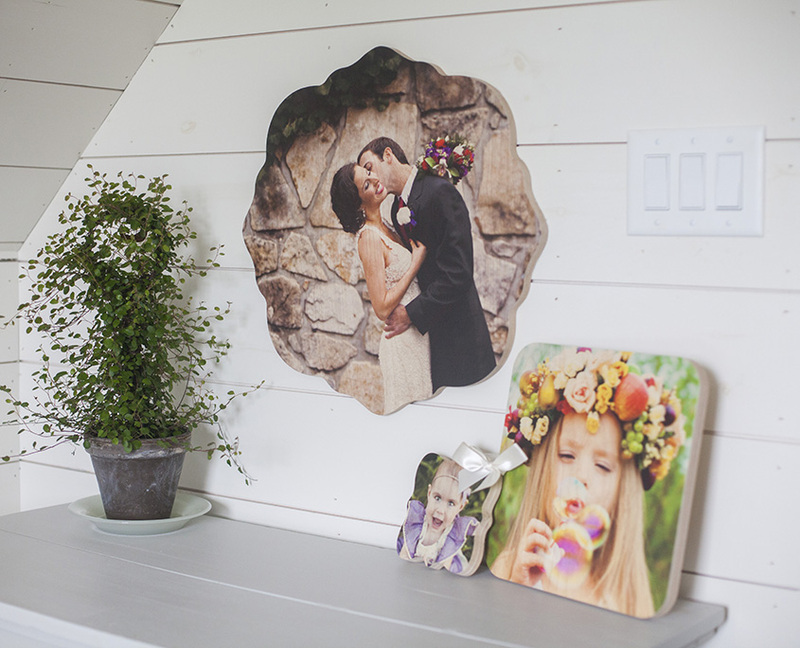 Print your image directly onto a high-quality coated birch pallet. You will love the unique look of this product. 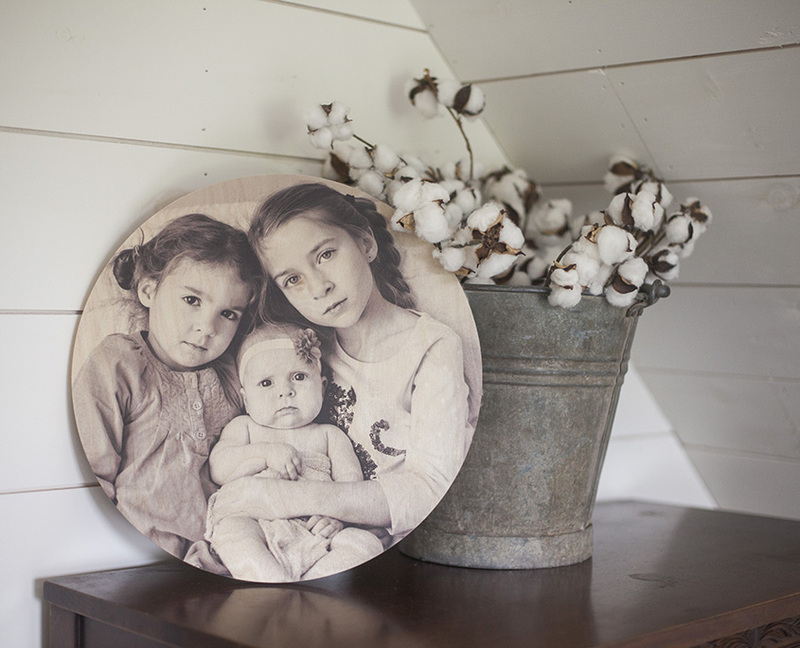 The natural tones and grain of the wood combine with your image to create a unique and durable work of art. Each PhotoPallet is printed using the highest quality materials and processes. Every piece of wood is hand selected then specially sealed before printing. Fade resistant UV inks are used to print the image directly onto the board. 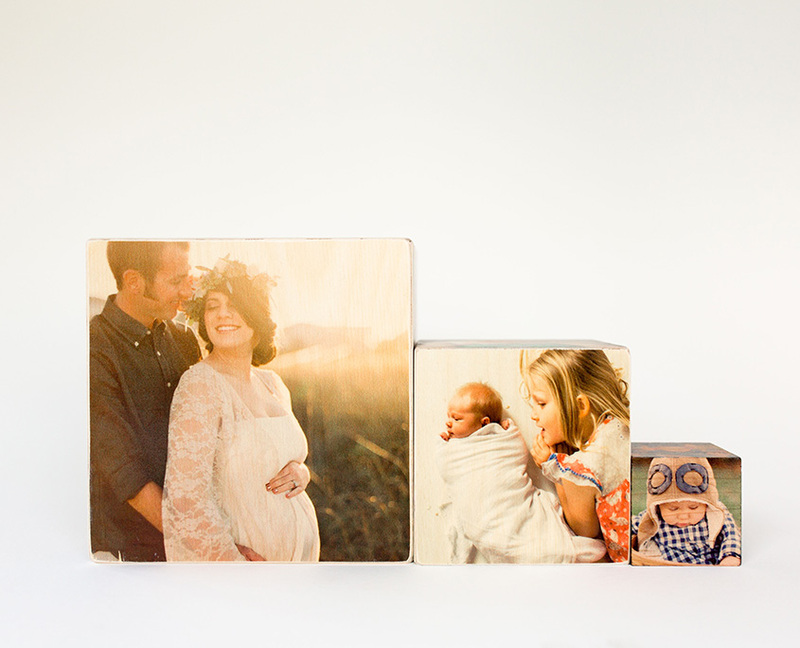 Introducing a new, unique way to display your photos: PhotoCrates. 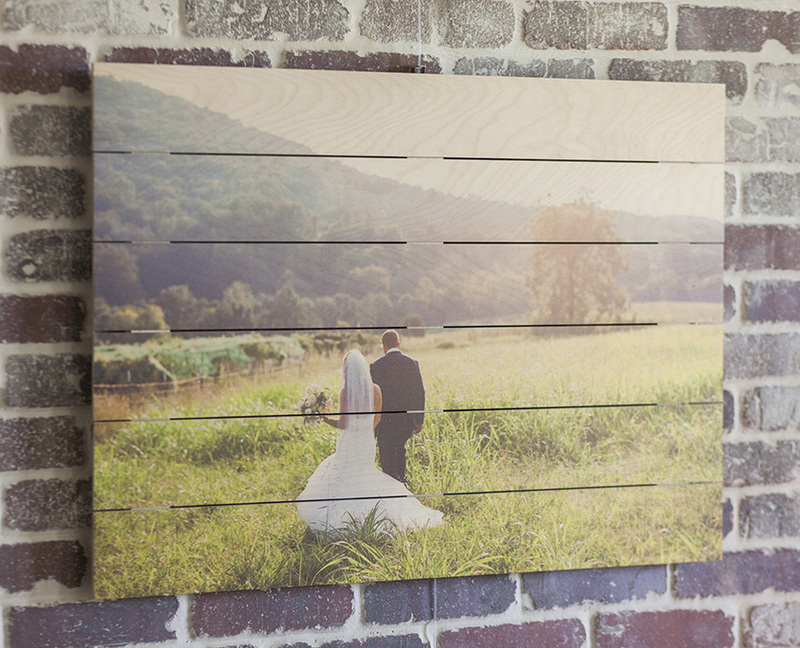 Print your images on to wood, canvas or a high quality 120lb paper and display them in a barnwood Crate Frame. Hang them on the wall or let them stand on any flat surface. Easily swap photos by sliding the image through a slot in the top of the frame. 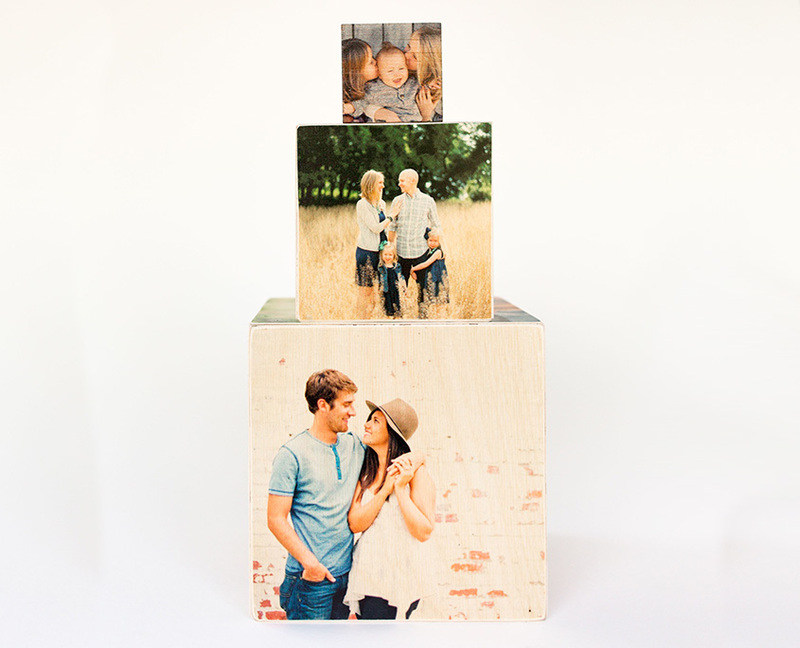 PhotoCrates are available as single sided or double sided prints in sizes from 5×7 to 11×14 and come in three color choices: barnwood, white wash and black. PhotoCrate Inserts are refills for an existing PhotoCrate. 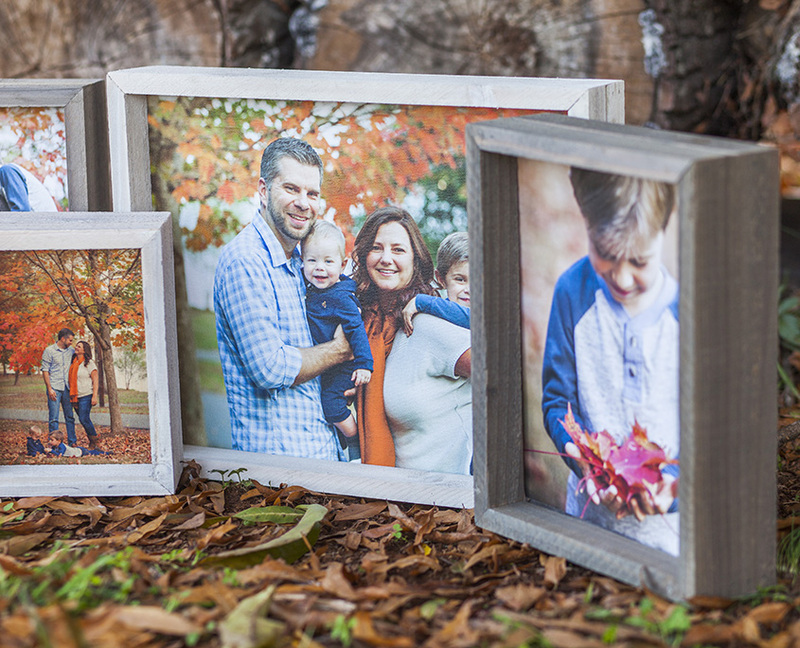 Print your images on to wood, canvas or a high quality 120lb paper and display them in a barnwood Crate Frame. Easily swap photos by sliding the image through a slot in the top of the frame. No wooden crate will be shipped if a PhotoCrate Insert is purchased. The perfect addition to any gift. 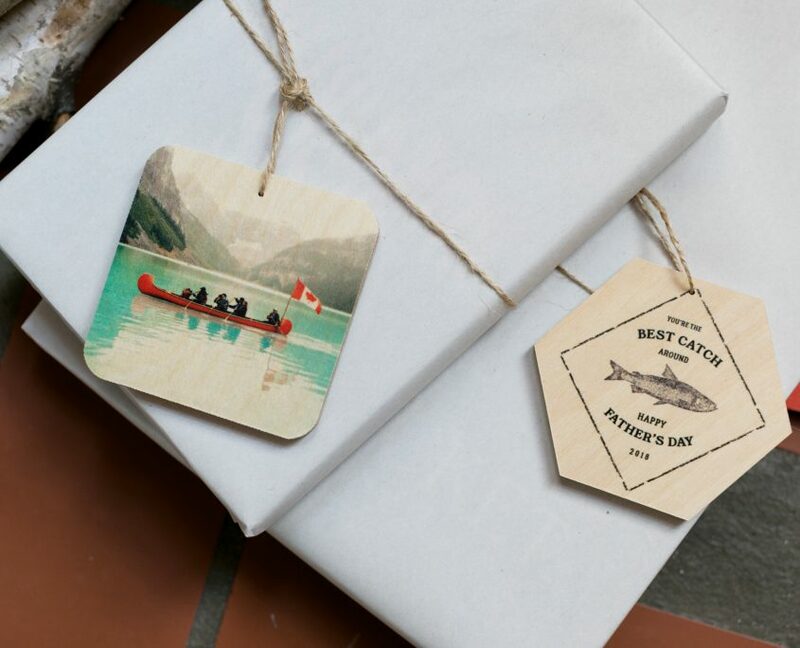 Create a custom accent to your gift with our unique Wooden Gift Tags. 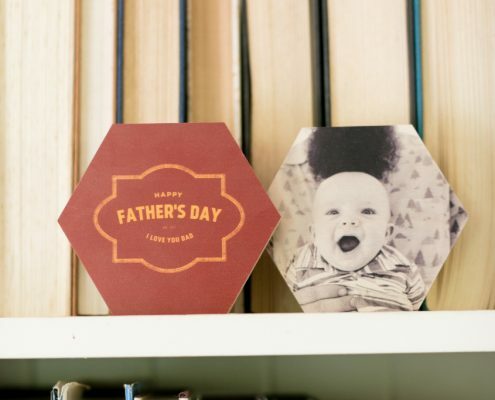 Available in three different shapes: Heart, Rounded Square, or Hexagon. Each Wooden Gift Tag is a one-sided print. Choose to put your own photos or one of our patterns on our NEW Gift Tag. Each tag comes with twine to attach to the gift. Surprise someone special with this perfect customized gift tag! 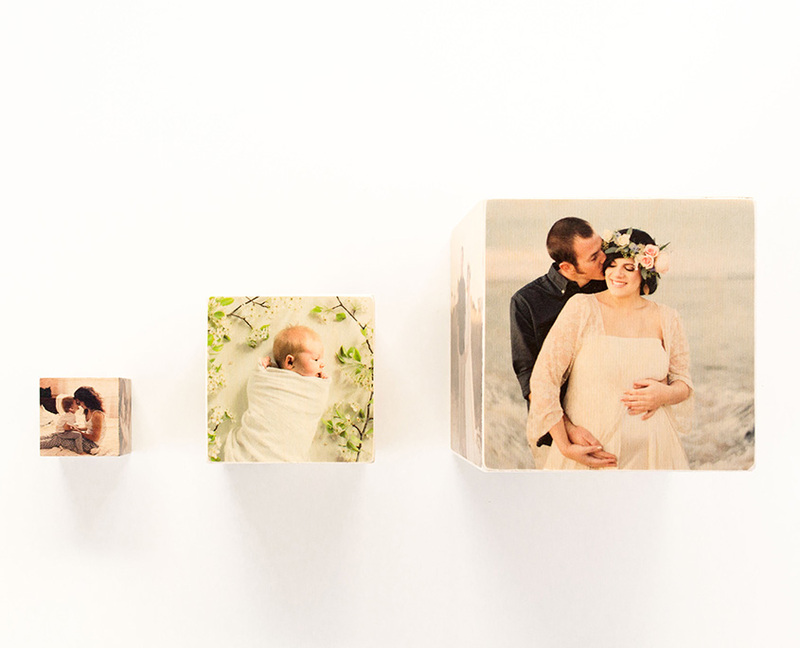 Print your images on 2″, 4″, or 6″ wooden cubes with our NEW PhotoCube product. 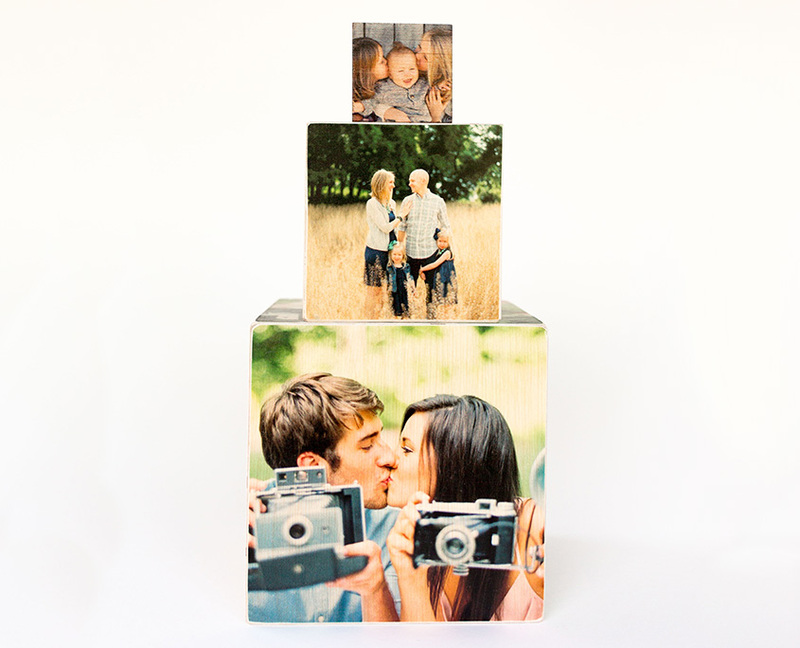 Each block has 6 custom sides where you can print photos, designs, or ANYTHING you want. Perfect for Instagram photos and images taken from any mobile device. 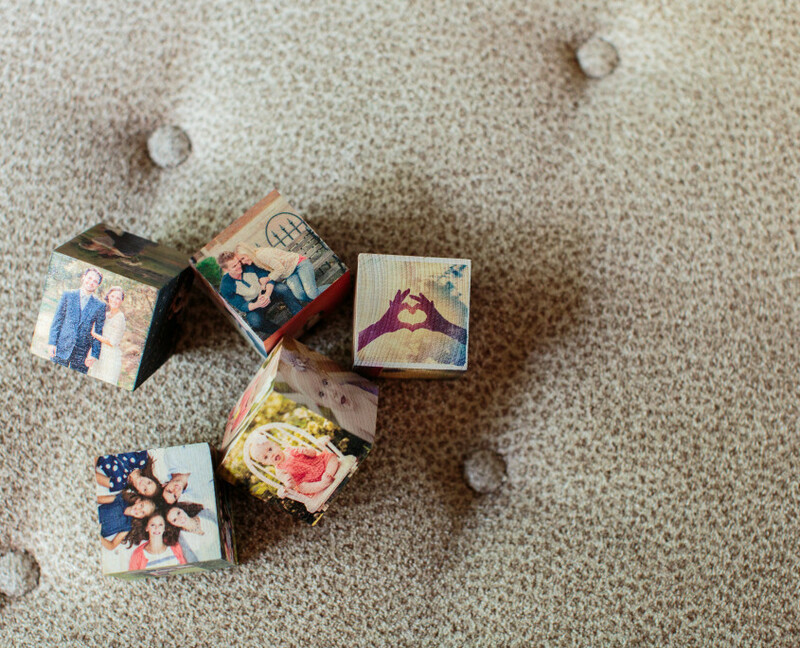 Print your images on solid 2″x2″ wooden cubes with our popular PhotoBlock product. 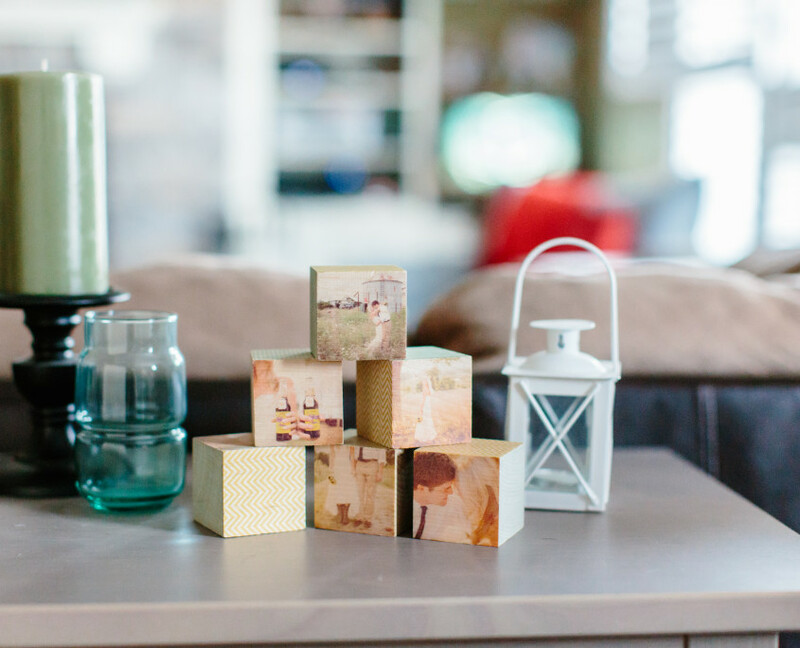 Each block has 2 custom sides where you can print photos or place letters to spell a name or important date. You will then choose from our library of patterns for the remaining 4 sides. 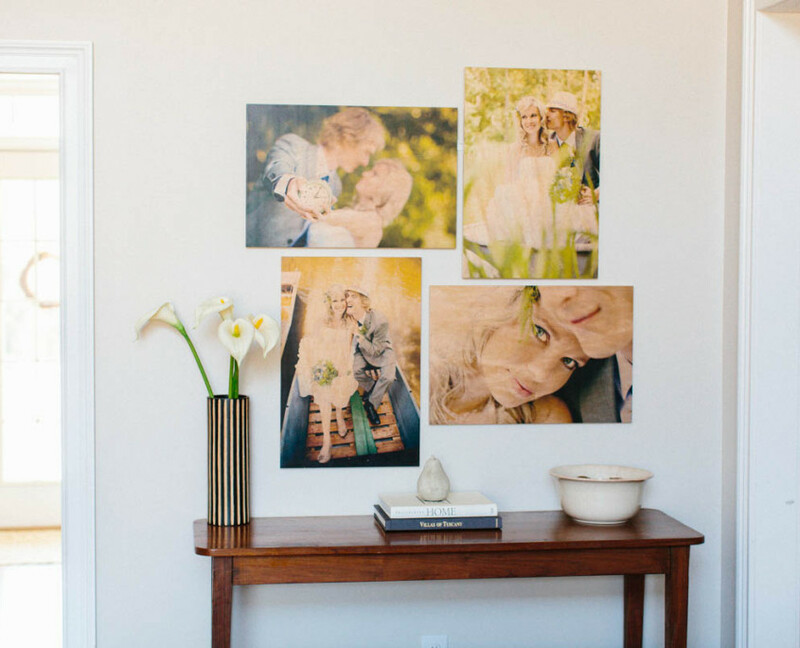 Standout Wood Prints are 1/8″ birch panels fastened to a wooden frame creating a drop shadow effect. 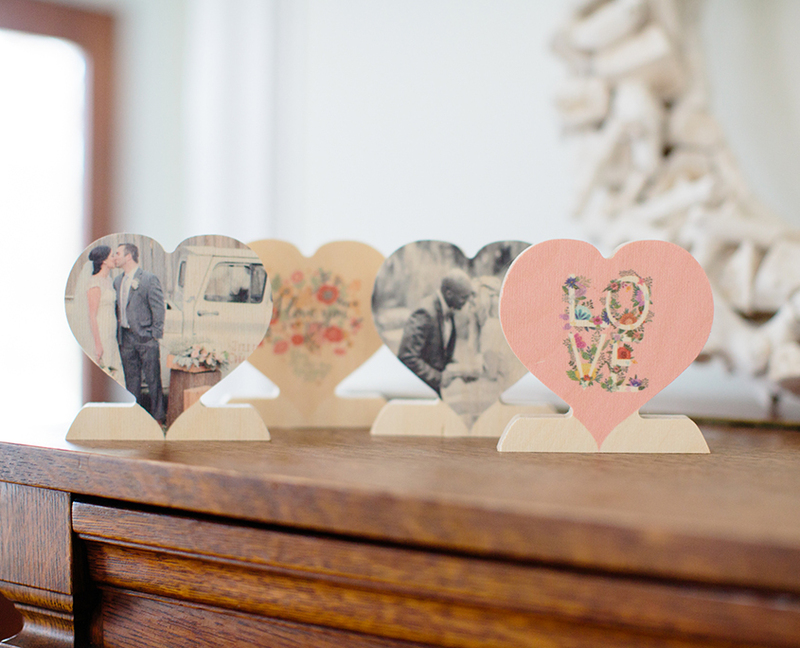 They are a lighter and affordable alternative to PhotoBoards. 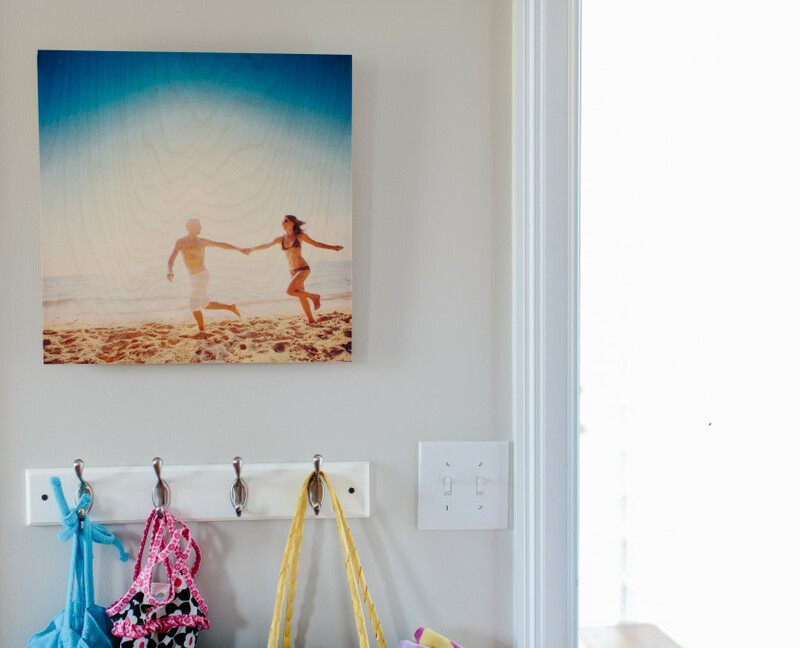 Standout Wood Prints come ready to hang and are available in a variety of sizes. 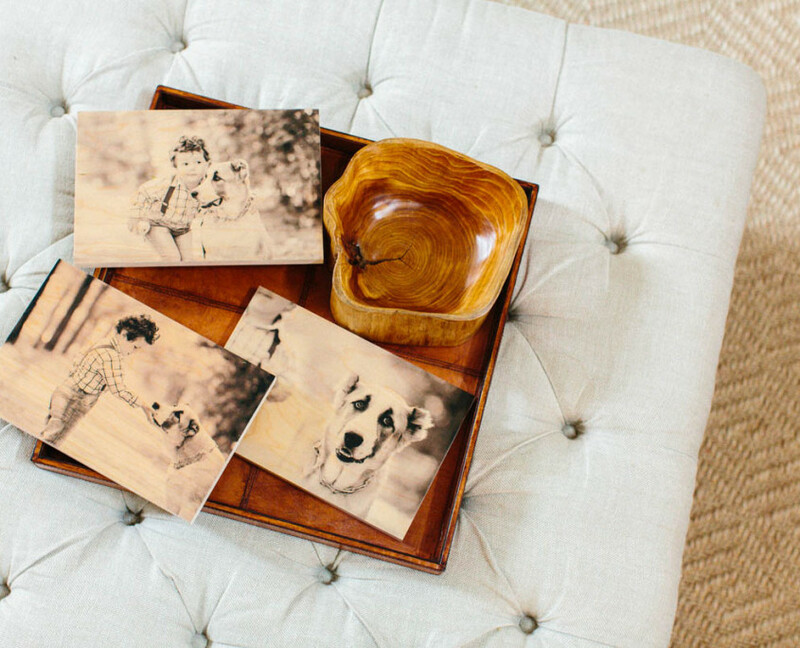 Wood Prints are thin, 1/8″ wooden panels that are meant to be displayed on a desk stand or framed. 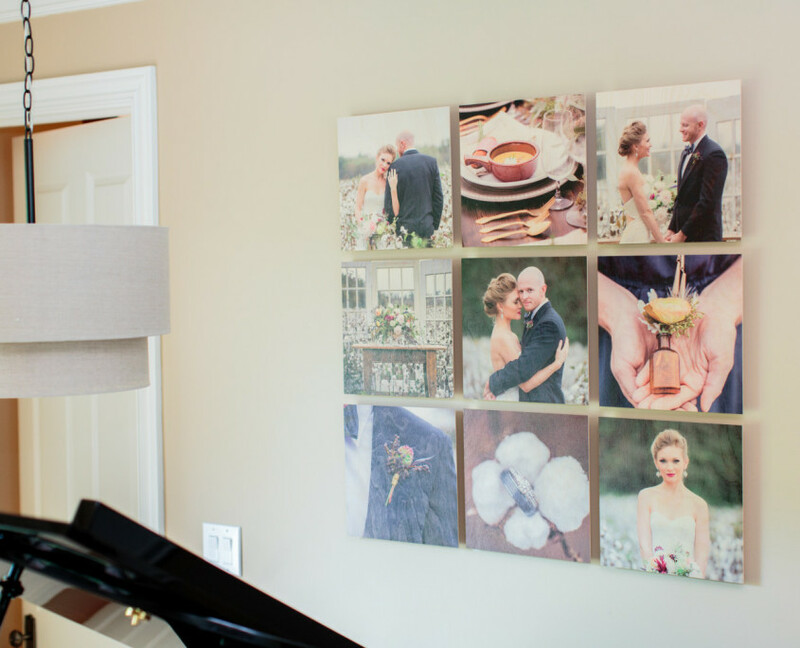 Larger Wood Prints do not come ready to hang on the wall. 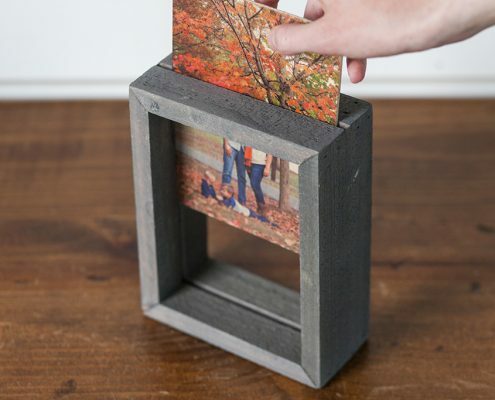 Display smaller wood prints (5×7 and 8×8) using a wooden desk stand. 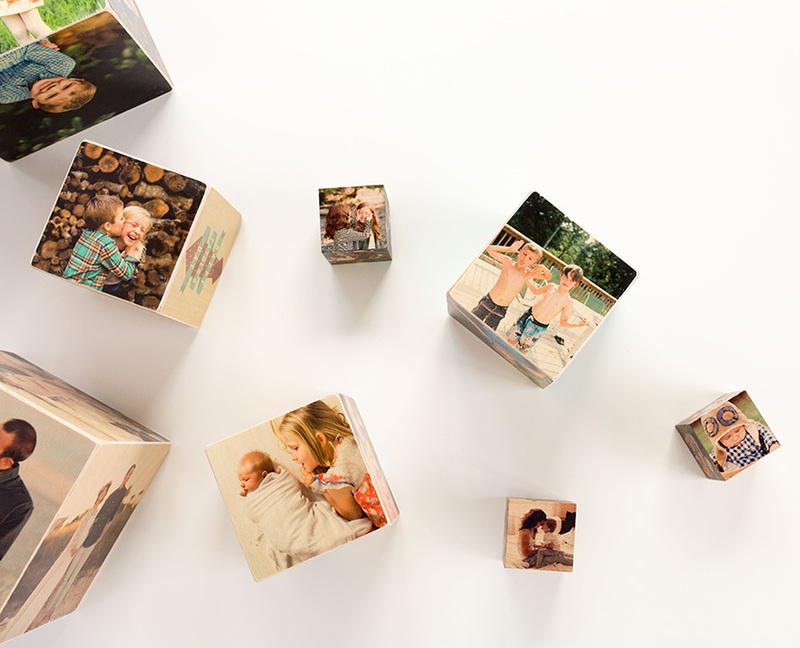 PhotoBlock Puzzles are available in 9 piece (6″x6″) or 16 piece (8″x8″) options. Select two images to print across two full sides of the puzzle. Choose from a variety of pattern sets for the remaining sides of the blocks. 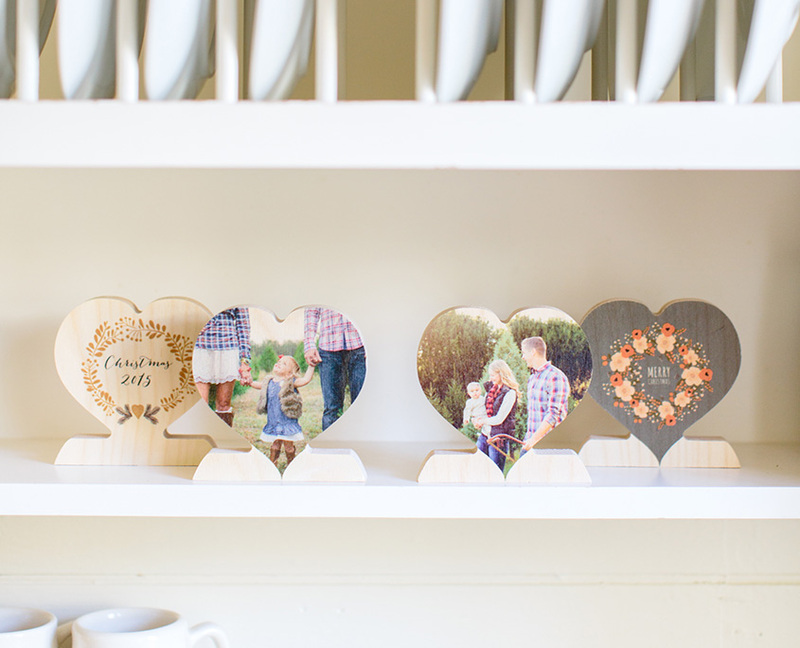 Create custom wood prints with our unique Wooden Photo Hearts. 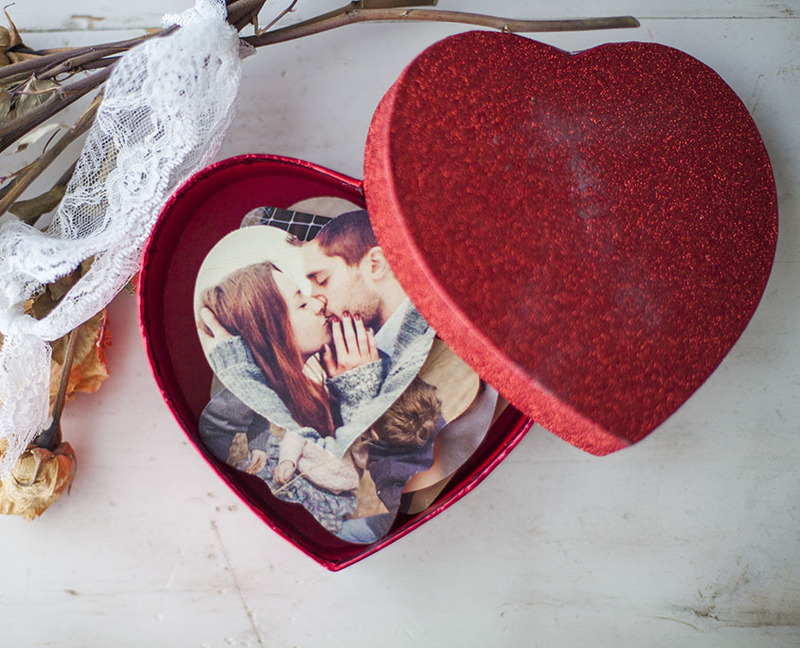 Each Photo Heart is 4″ tall and 4″ wide and is a two-sided print. 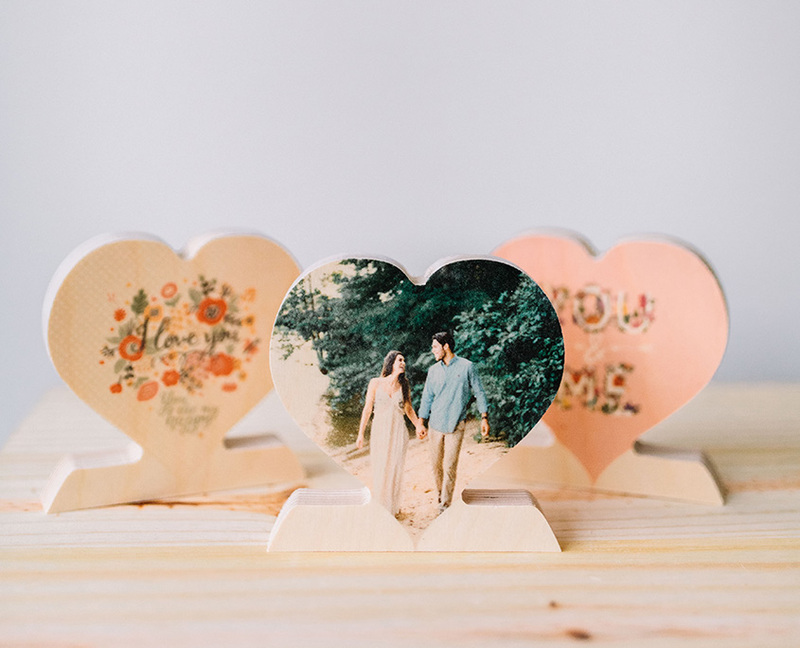 Choose to put photos or patterns on each side of our NEW Photo Heart. 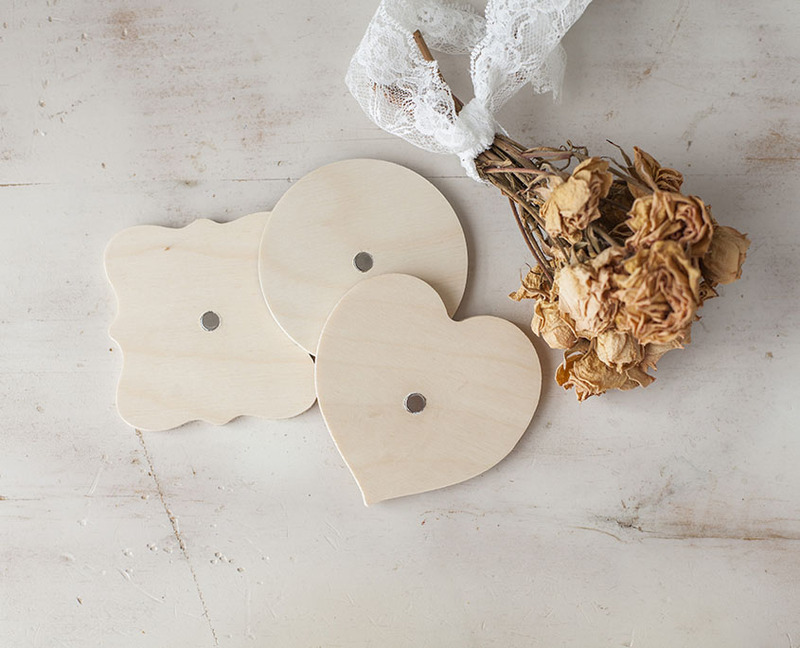 Each heart has a wooden base so it can stand on any flat surface. 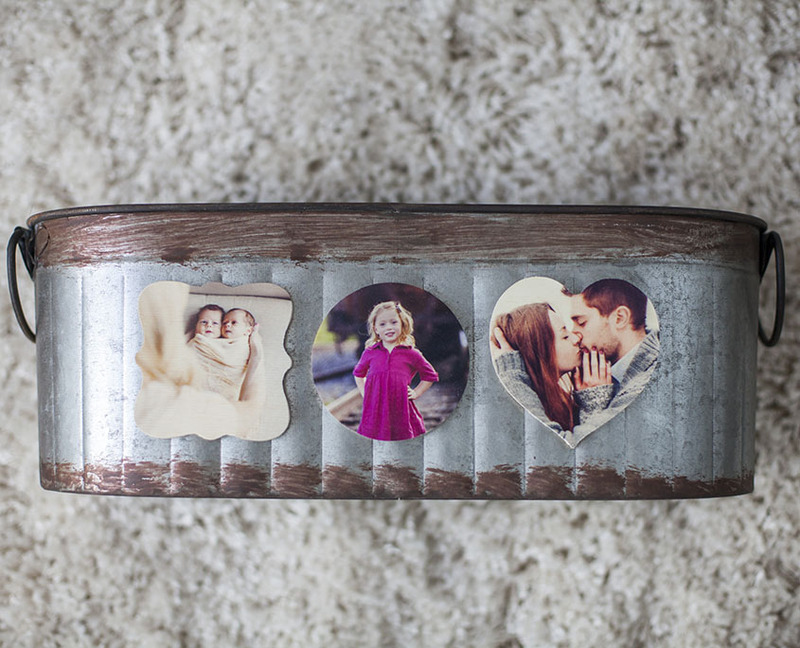 Surprise with this perfect customized gift! Perfect to display on a desk, mantle, side table or any flat surface. 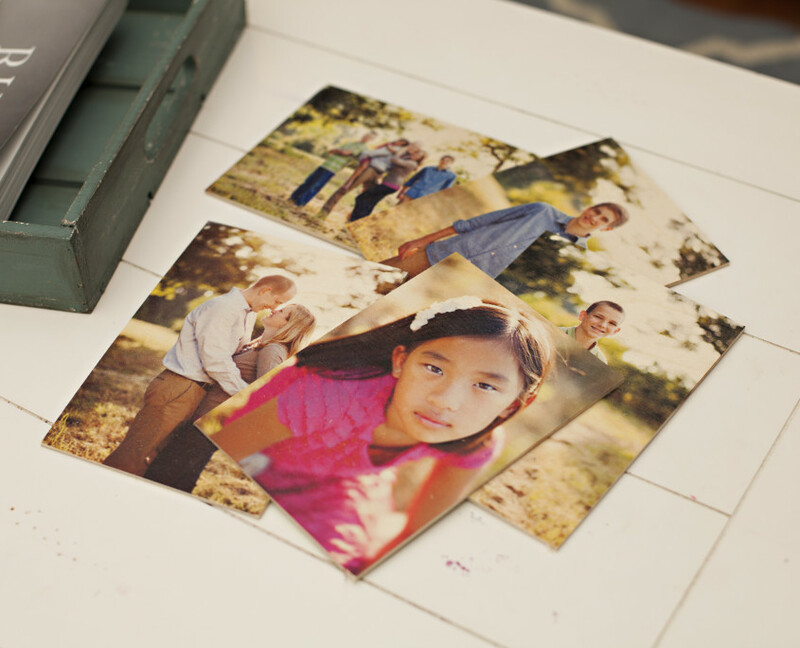 Our NEW PhotoSquare product is a double-sided print, where you choose the images that go on each side. Great for Instagram and images taken from any mobile device. Perfect to display on a desk, mantle, side table or any flat surface. 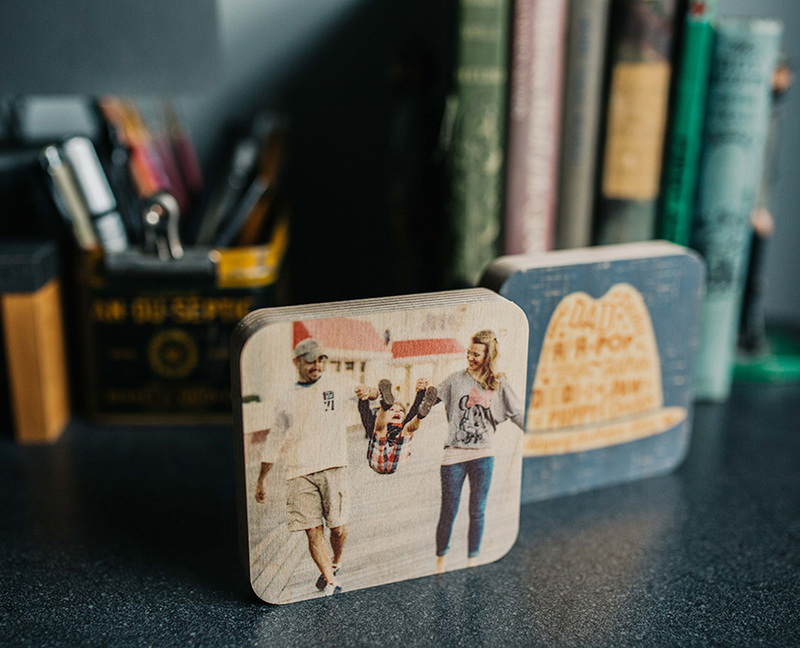 Our NEW PhotoHex product is a double-sided print, where you choose the images that go on each side. Great for Instagram and images taken from any mobile device. 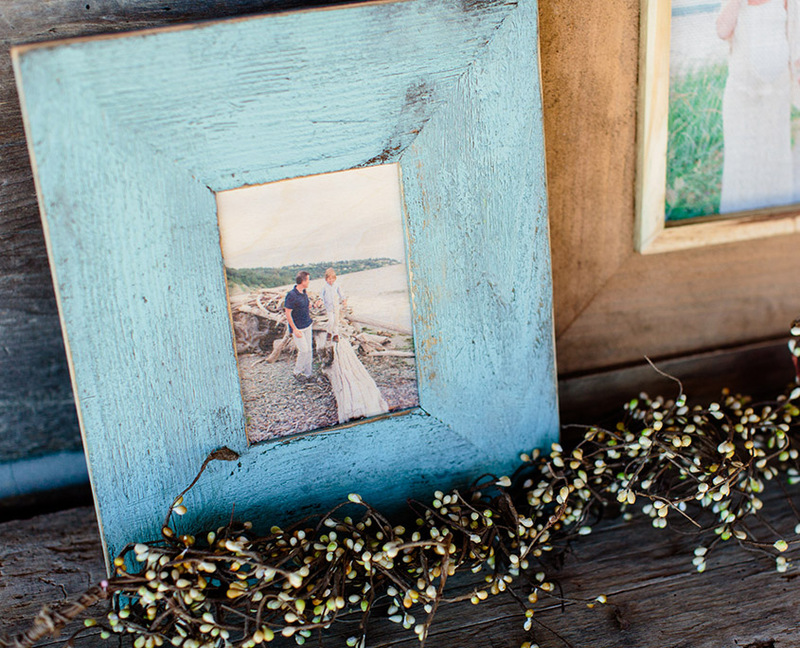 Introducing the Wooden Photo Magnet. These make the perfect gift! 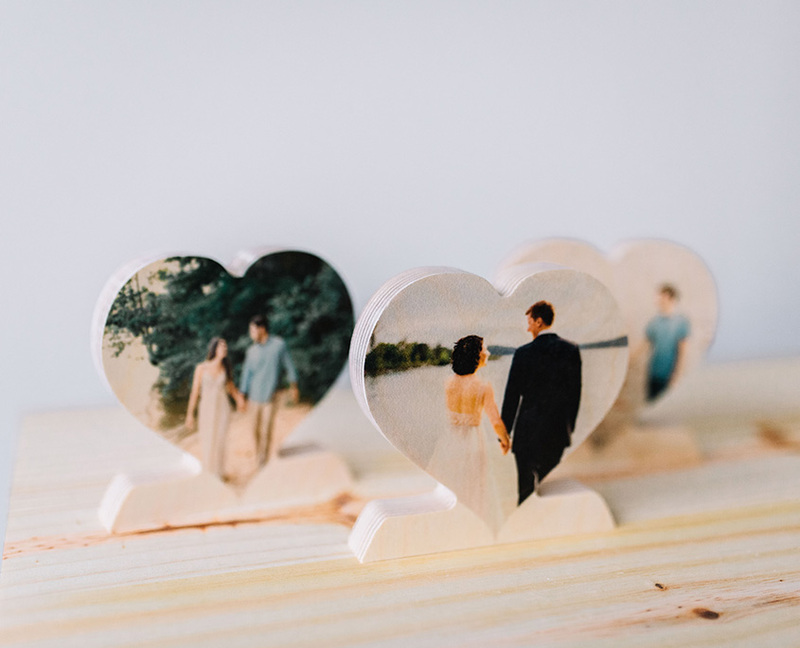 Create custom wood prints with our unique Wooden Photo Magnets. 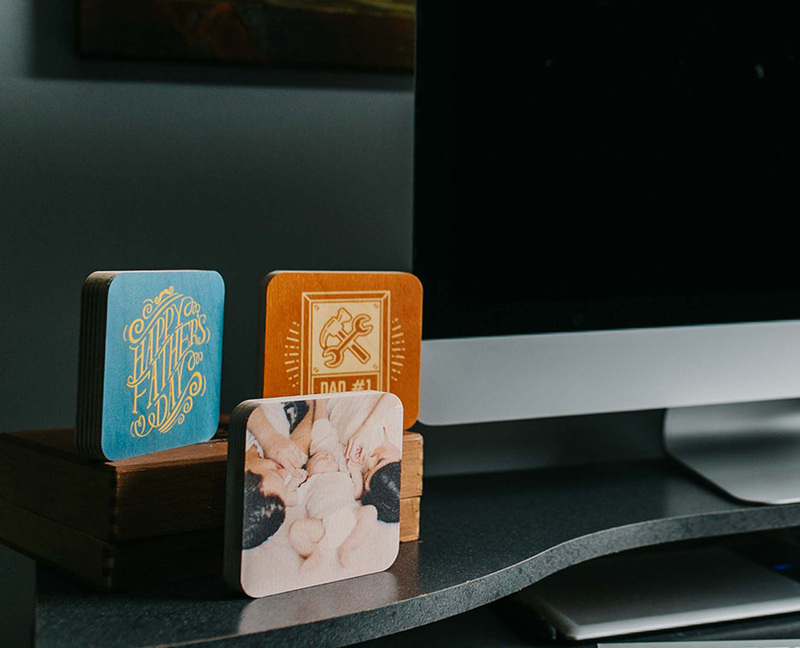 The Magnets are made out of 1/4″ thick hardwood plywood and are 3-1/4″ tall by 3-1/4″ wide. We print directly to the coated wood surface with fade resistance UV cured ink. Each magnet has a powerful rare earth magnet embedded in the backside for a powerful hold. 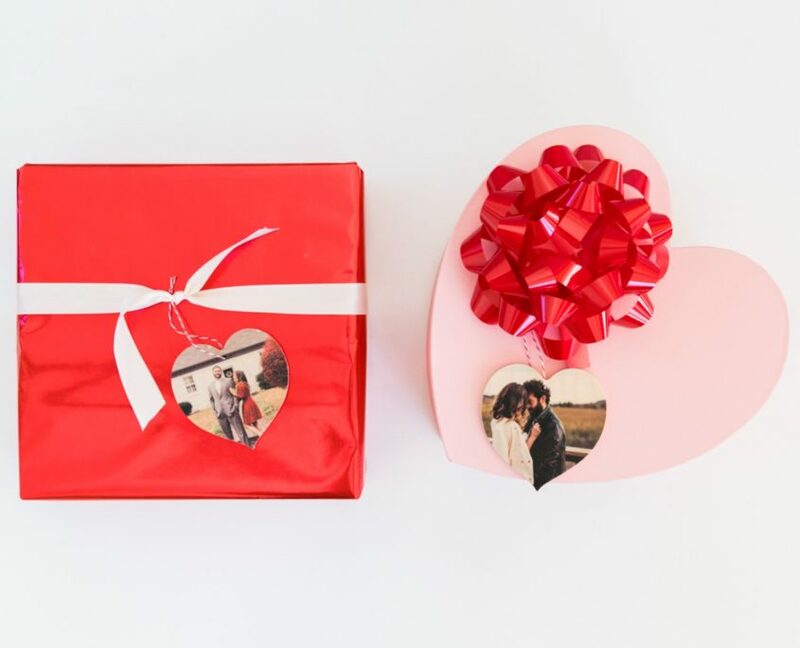 Surprise someone special with this perfect customized gift! 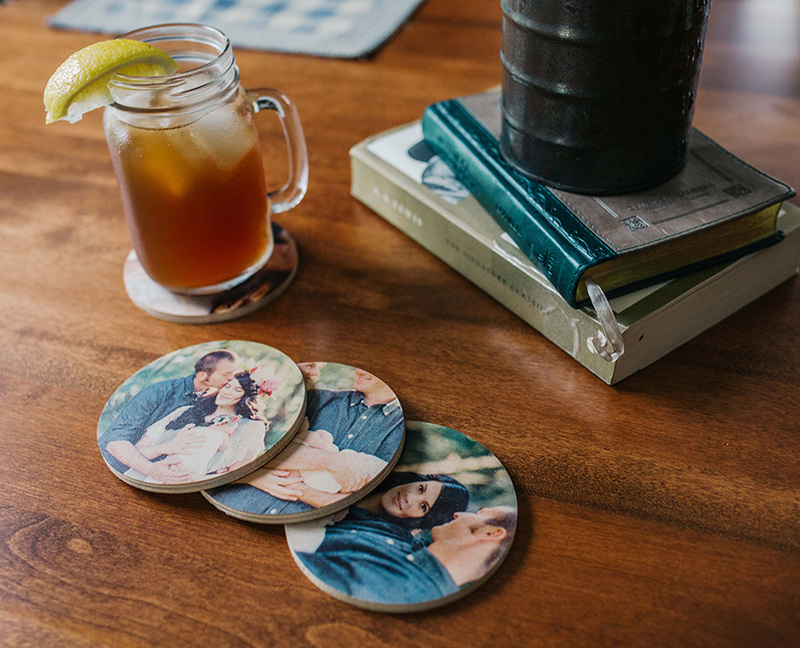 Print your images directly on to a set of 4 custom wooden photo coasters. 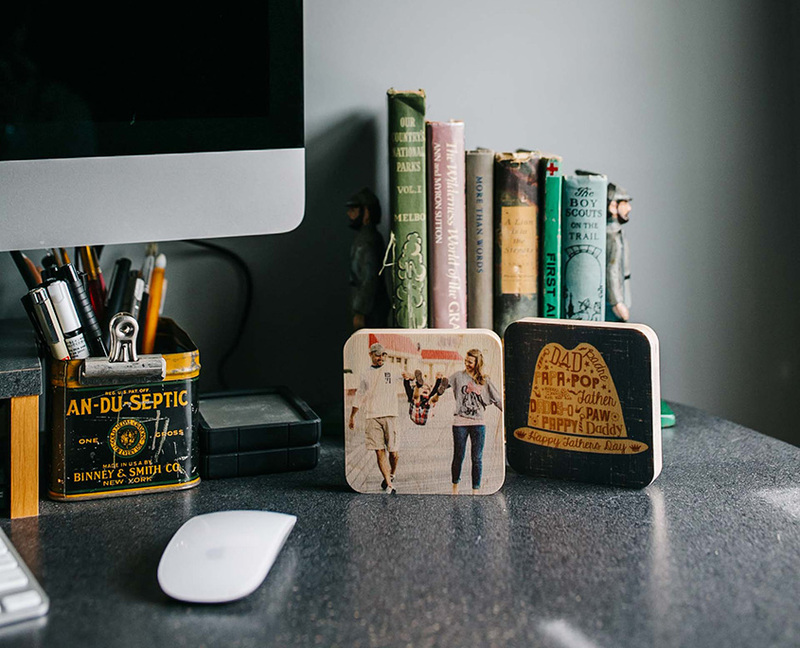 Each coaster gets a personalized image of your choice. 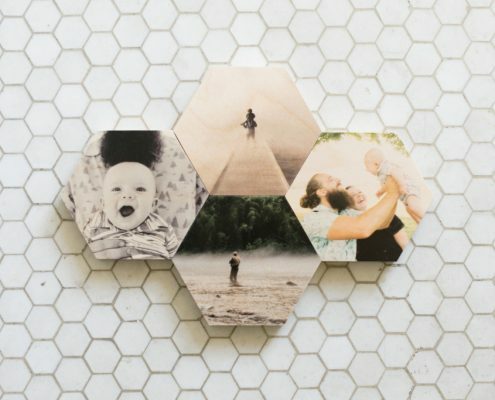 The wooden photo coasters are 4″x4″ squares with rounded corners or 4″x4″ circles. 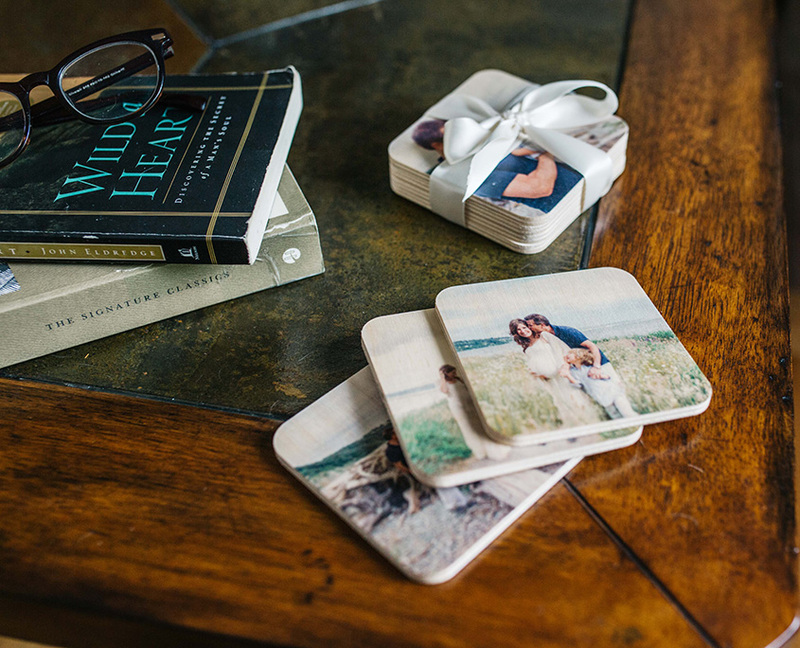 Each set of coasters is wrapped with twine or ribbon of your choice. 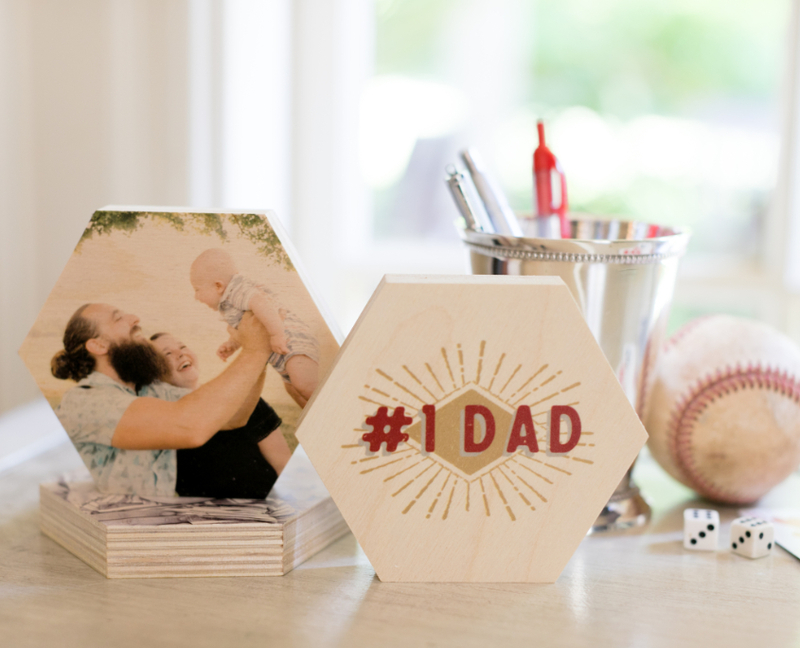 Create custom wooden ornaments with our unique PhotoBlock Ornaments or Circle Ornaments. 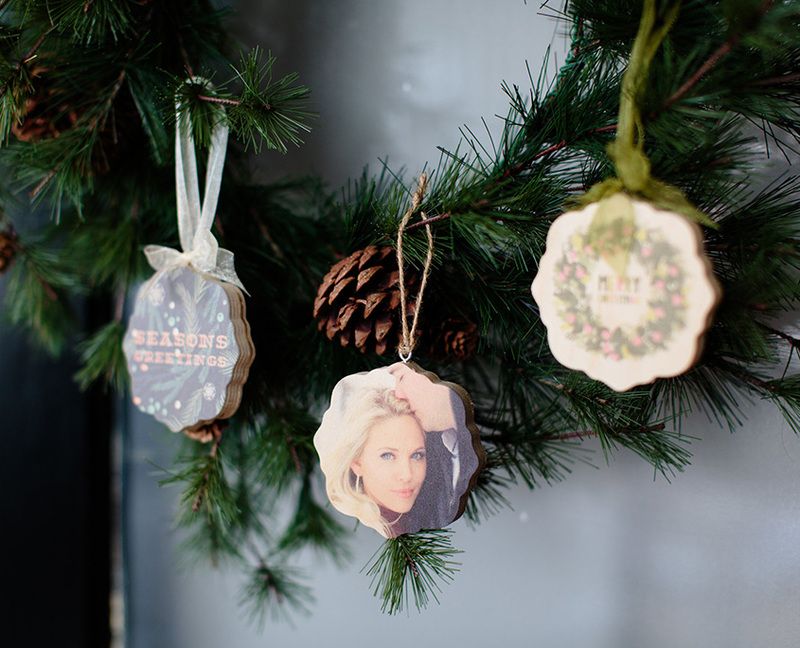 Each ornament is printed directly on high quality wood. 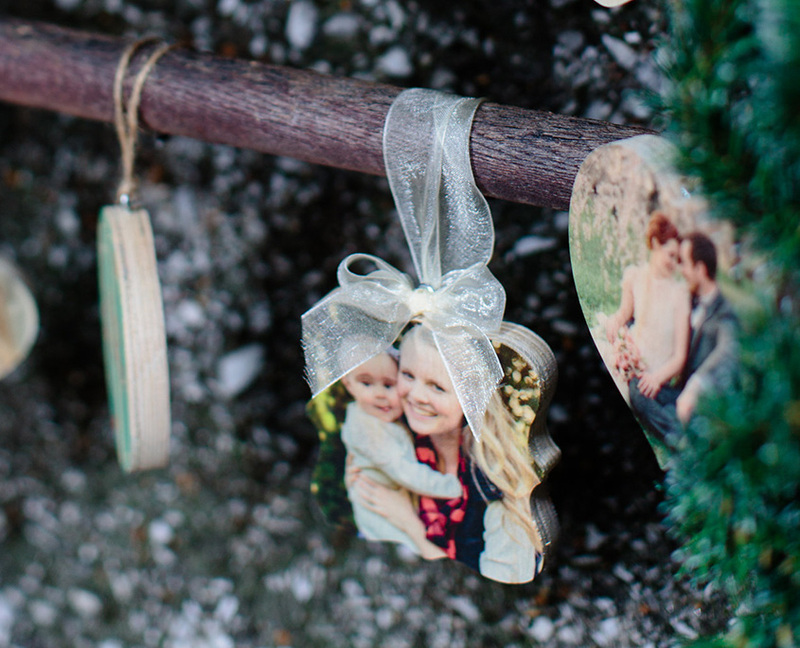 Finish the ornament with your choice of a ribbon or twine hanging option. 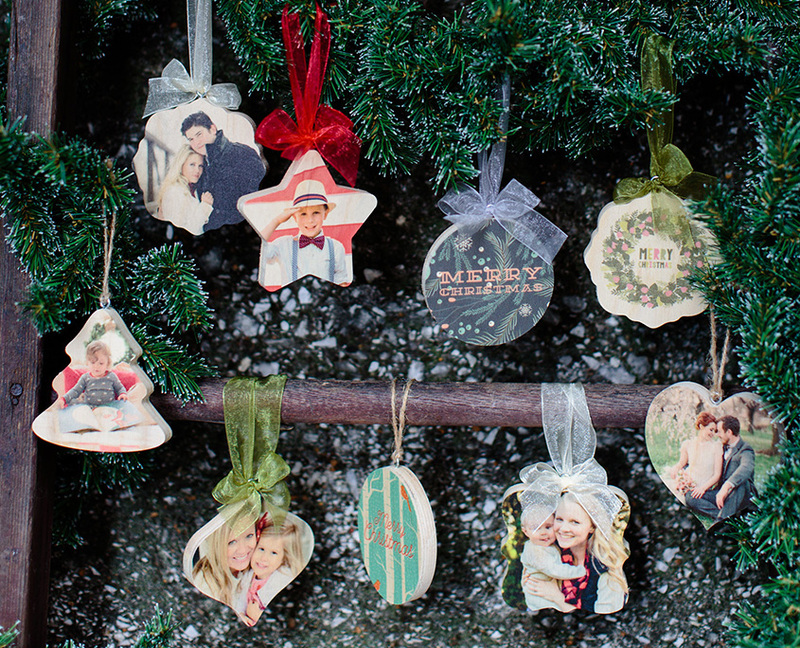 Create custom shaped ornaments with our unique Wooden Photo Ornaments. Choose from 8 NEW shapes! 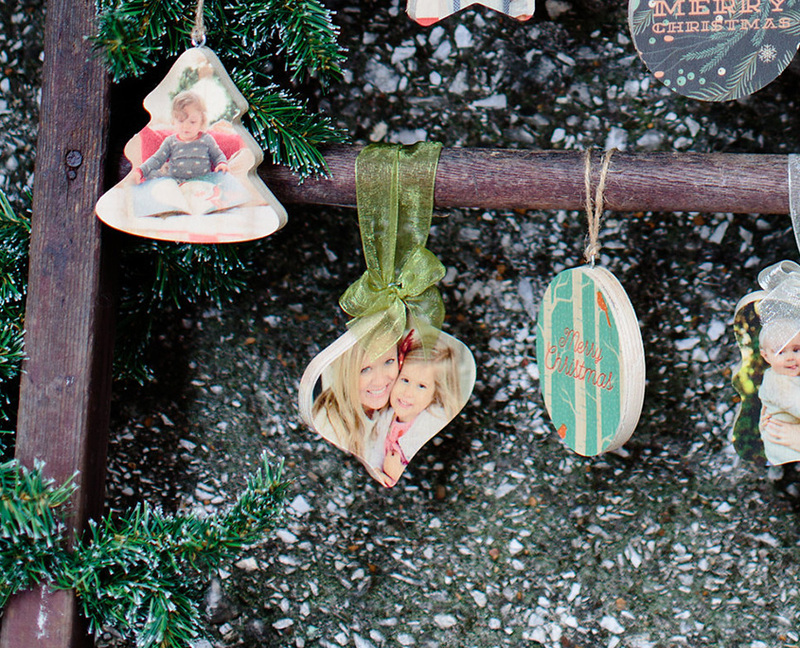 Each ornament is printed directly on coated, high quality wood. 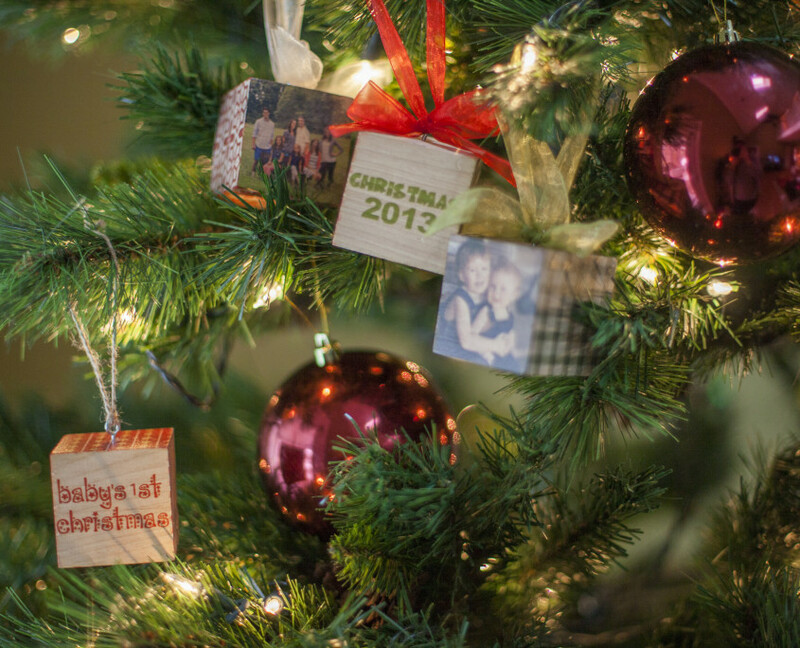 Finish the ornament with your choice of a ribbon or twine hanging option.